2016 has been the year of Docker containers, as it has been the latest and the most advanced technology the IT industry is talking about. With Docker, companies are speeding up the production and version releases without disturbing the programming and deployment environment. Containers resolve several operational issues, but they have their problems, too. They come and go very quickly; hence, Docker monitoring is extremely crucial. You cannot just create containers without monitoring their performance and results. It is just like driving on a crowded road without following the rules. Docker monitoring is must, to ensure that you find and fix issues before they turn into a nightmare. Also, the infrastructure monitoring is a must to know the impact of processes on CPU usage, memory, and other hardware. 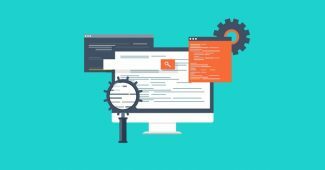 Though Docker containers have eased the process of developing and running the applications, Docker users and organizations need a platform from which they can perform monitoring for their Docker-based applications and their distribution. These requirements are exceeded by Datadog, the leading cloud-based monitoring platform for cloud applications. 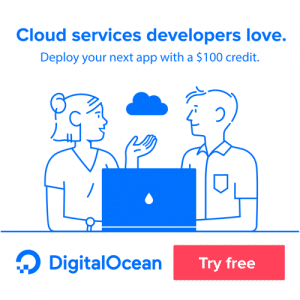 What is Datadog and its relation with Docker? applications. It has been used by many top IT companies to streamline Docker monitoring. monitoring. Datadog can be integrated with Docker with the help of Docker API to enable the engineering teams to monitor their docker applications with minimal configuration. monitoring dashboard for container-based monitoring. 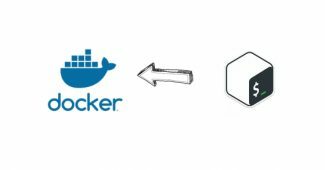 Follow the steps given below to set up docker monitoring using Datadog. 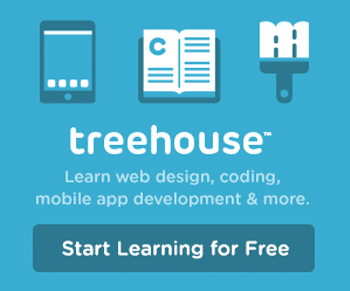 Step 1: Head over to www.datadoghq.com and sign up for a 14-day free trial. 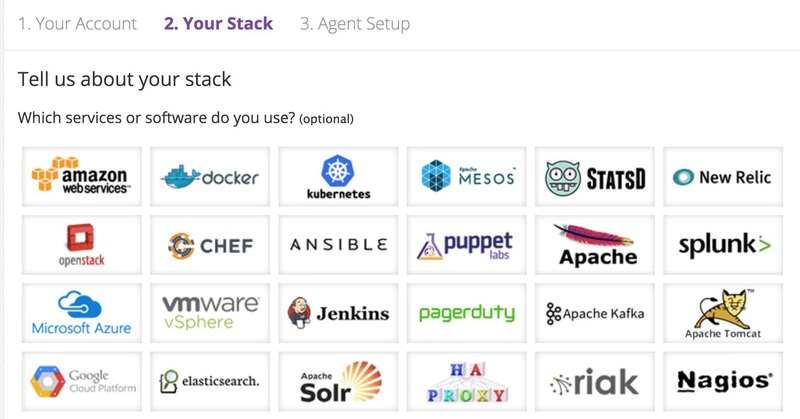 Step 2: On the next page, select docker from the list of applications. Step 3: In the next page, select docker from the list . Once selected, you will get the docker agent installation script on the same page as shown below. Step 4: Copy the docker agent installation command and run in on your docker host. An example command is shown below. 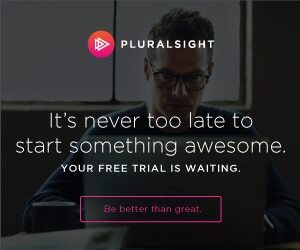 Note: API key is a unique key for your account. Make sure you use the agent installation script from your account. Step 5: Once the agent docker container agent is deployed, it will register all your docker metrics on Datadog dashboard as shown below. Step 6: Install the docker integration plugin using the option in the integration dashboard. Once installed, click dashboards option in the left pane and select docker under “Integration Dashboard”. There you can see all the information about your containers (Memory, CPU, Network, IO etc) running on your docker host. Now, whenever you deploy a new container on to the host, the data about that container will be sent to Datadog with all the containers details and metrics such as memory, CPU etc. 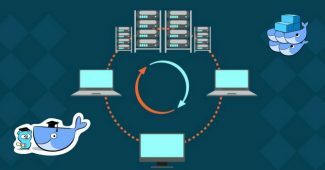 Why docker monitoring is required and how Datadog helps with it? 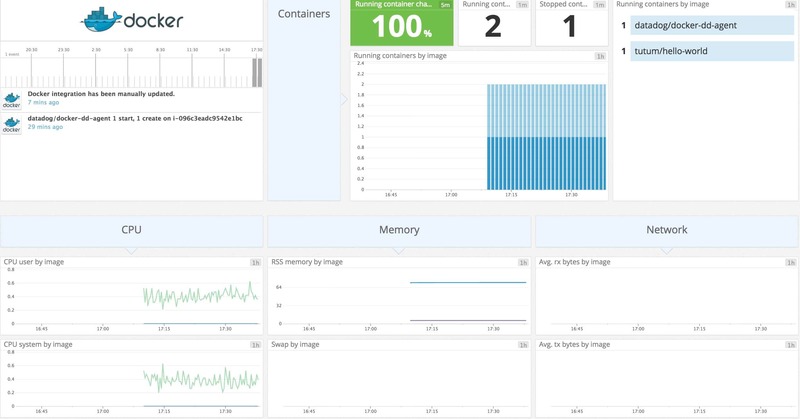 To optimize the performance of a docker-based application, its monitoring is required. Without optimal docker container monitoring, evaluating the performance of an application is not possible. You need insights of an application to understand its performance matrix. Datadog has made monitoring easier and faster by providing a platform that allows the users to quickly gather application insights and performance matrix across dockers, their engines, and hosts. By evaluating this matrix, the users can work with the related teams to address the performance issues. What are the features of Datadog’s Cloud-based monitoring? The surprising fact is the bigger companies are heartily adopting Datadog for docker container monitoring. 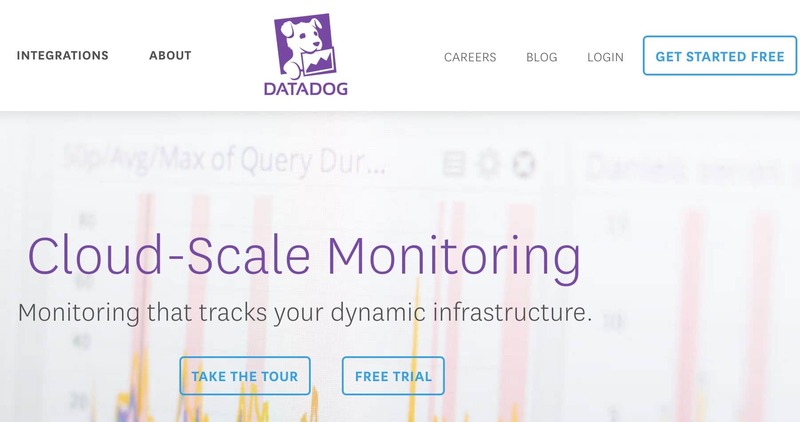 For more information about Datadog, and their integrations, or 14-day free trial, click here.